IYFEI… Leaders in Hospitality Concepts & Innovation! IN YOUR FACE ENTERTAINMENT INC. is creating an all new web space! City Dump Bar & Eats is now City Dump Brewing and the hero line will be "Good Food, Great Drinks, Better Beer" with a limited line of unique beers brewed on site at each location. The City Dump theme is carried through the food and beverage menus as well as the design of each property for the total experience! During construction of One Showcom Centre, a 60' support pile vanished in the driving process! Upon excavation, the contractors discovered the pile lodged in a huge cavern deep in the earth along with a smaller crystal covered cave. You can now enjoy a gourmet meal and mystifying "dark" illusion show at Sub-Level 230! Create a casual faire British pub & chophouse restaurant, a French Quarter style white tablecloth restaurant with gas lit courtyard dining and a live jazz lounge and an upscale private membership club all in one single out-parcel property and you have IYF Hospitality Ventures latest themed eatertainment concept! 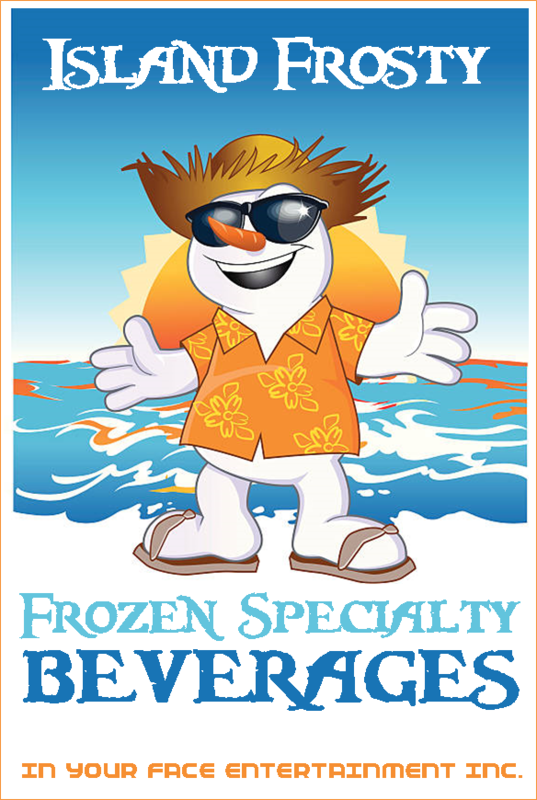 and behind those dark sunglasses, In Your Face Entertainment (IYFEI) proudly introduces… Island Frosty representing our newest operating unit of Frozen Specialty Beverages! Our Research and Development team has been diligently investigating alternatives to traditional liquor based cocktails and unique tropical blends and mixes to offer some of the very best frozen cocktails for outdoor amusement, sports and entertainment venues with selective beverage license constraints and limitations.